At best, forklift downtime is inconvenient; at worst it can be expensive and risk disappointing clients with late or incomplete orders. 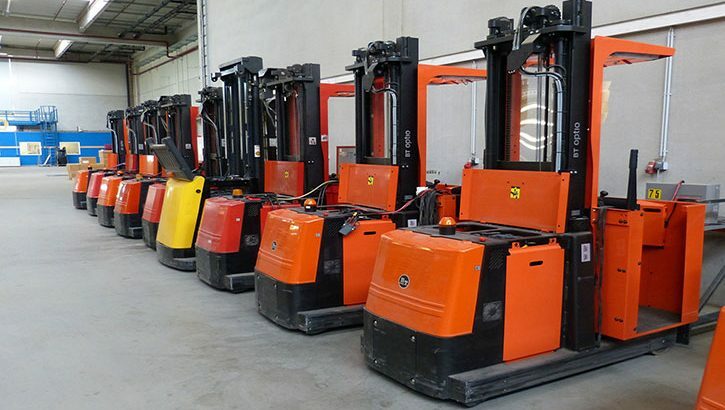 By moving away from a reactive, fire-fighting approach to maintenance, and setting up a regular and disciplined forklift fleet maintenance program, you will ensure that forklift capability can be predicted at any given time. We look at forklift fleet maintenance and answer the most common questions. Preventative Maintenance – How often should I service my forklift fleet? HSE Compliance – How can I ensure that forklift fleet maintenance meets health and safety requirements? See manufacturers’ guidelines as there are different requirements for pneumatic, solid rubber and polyurethane tyres). Tyres should only ever be re-grooved by professionals. Forklift steering should not have any play or be difficult. Common problems include low levels of transmission fluid and worn gears. A regular driver reporting system will help to ascertain the level of play in forklift brakes. These issues should be addressed immediately. Visibility checks should include mirrors, windscreens, washers, wipers and other equipment that enables the driver to see such as CCTV cameras. 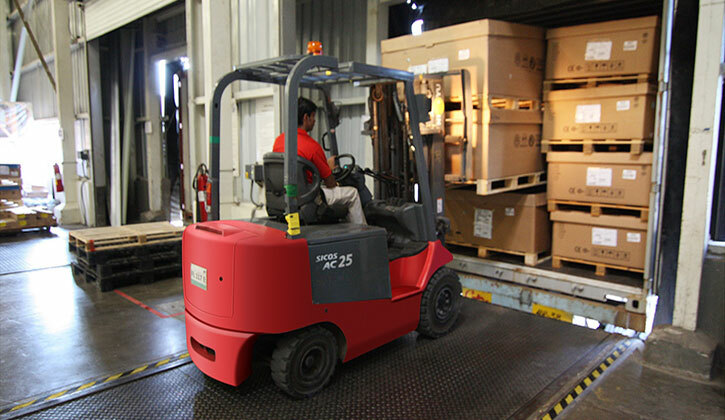 No forklift should be used without correctly operating warning devices such as horns or lights. 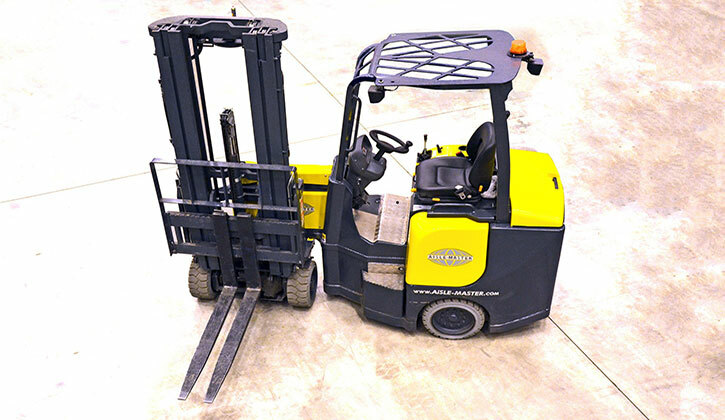 Hydraulic issues may be indicated by the failure of a forklift to properly raise and lower. Driver reports are useful indicators of this but checks on all hydraulics and moving parts should be aspects of a regular maintenance schedule. These should be undertaken on any equipment designed to control the movement of the vehicle during lifting. Rope securing points and racks should also be checked. There has been a marked increase in the number of forklifts fitted with telematics, which allow businesses to monitor the levels of efficiency and safety of their forklift fleets. Telematics can help to predict maintenance issues before they occur, safeguard optimum fleet performance and also ensure adherence to driver operator guidelines. These vehicle management systems are not always initially popular with operators who fear a ‘Big Brother’ approach and it is important to provide opportunities for discussion, training and the creation of written policies to ensure a smooth introduction and optimum usage. Are we being charged the best price for parts? Are the older elements of our fleet less cost effective than the newer ones? The ability to answer such questions can save a lot of money but the only way in which to adequately do so is to conduct regular audits of forklift maintenance expenditure. Some organisations opt for buy-in cost management solutions to help with this. The importance of forklift maintenance schedules is clear, however even the most systematic of schedules will fail in effectiveness and safety without regular and targeted training. Forklift drivers and managers alike need to feel comfortable with procedures including maintenance needs reporting and telematics operation in order to ensure a team approach to safety and maintenance. At AFTT (Advanced Fork Truck Training) we offer professional forklift safety training for operators, managers and instructors. Contact us now for more information and a discussion of your needs.